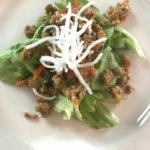 I had a craving for lettuce wraps the other day and we needed to bring an appetizer to a party that same night, sooo..I set out to make them! This one of my favorite recipes that I’ve created, even if it is a bit time consuming. 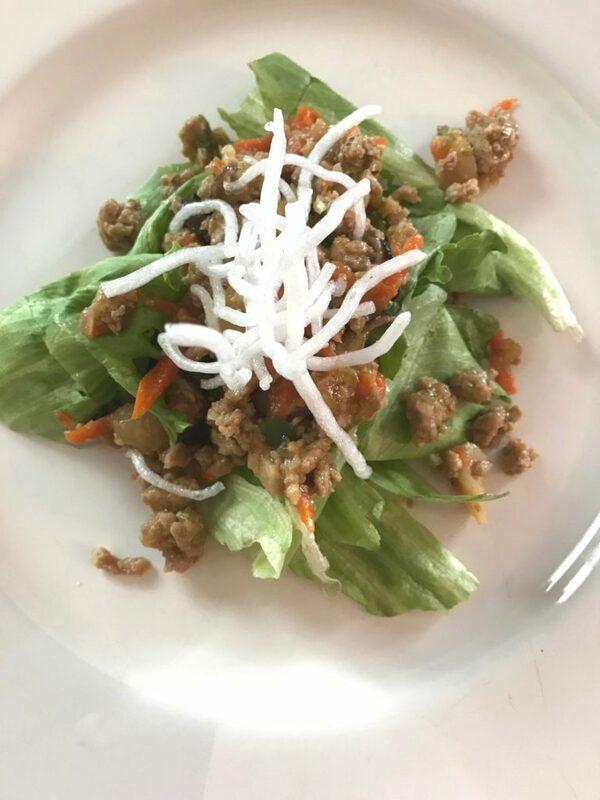 When I’m done cooking and I bite into crispy and cool lettuce that’s filled with savory-sweet ground turkey and veggies, I know all the work was worth it! I would say the most time consuming and perhaps intimidating part of this recipe is frying the bean threads. The frying is actually quick once you get your oil hot, but it takes 10 – 15 minutes for the oil to heat up and at the end you’re left with a pot of oil. Thankfully, I always have a funnel and an empty wine bottle or two lying around. I just funnel the COOLED oil right into the wine bottle, put on the cork and toss it into the trash. Easy-peasy. 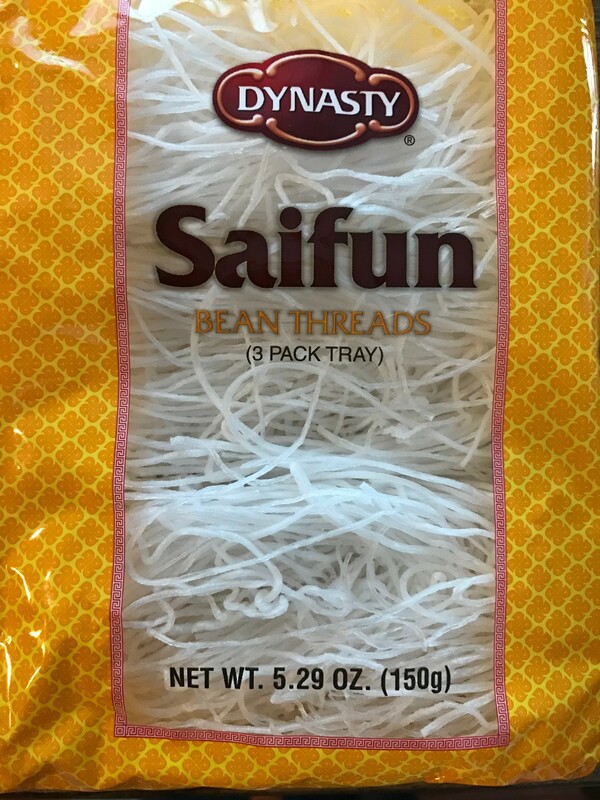 I used the bean threads pictured below, which were easily found at Jewel. I imagine most major supermarkets carry them. I also included a video below of me frying the bean threads so you can see for yourself just how very simple it is. Of course, you could skip this entire step but then the eating experience wouldn’t be the same. 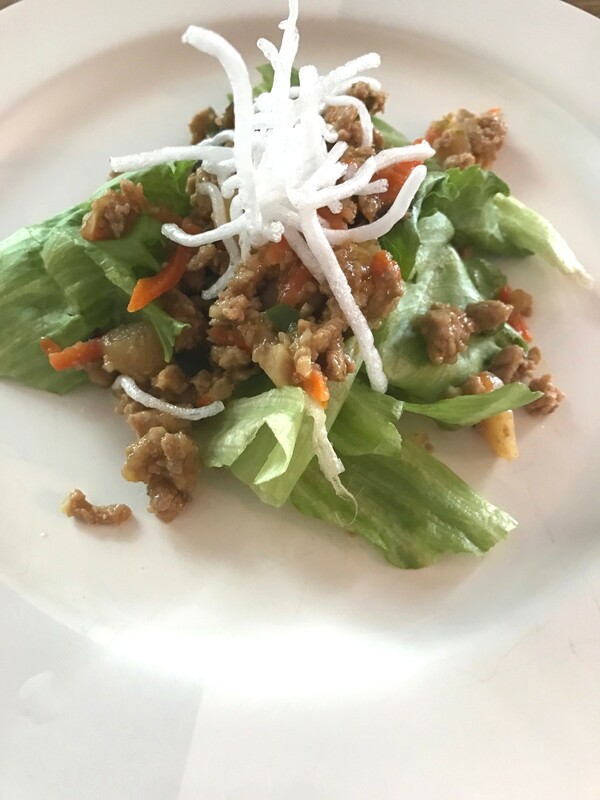 Find a rainy or in my case, frigid and snowy day and spend some time in the kitchen making these lettuce wraps. You will not regret it…especially if you happen to empty a bottle of wine in the process! This is what they look like before frying. I found them in the Asian section of my local supermarket. Get everything prepped and chopped before you start any cooking. Mise en place! Heat a medium pot over medium heat and fill the pot about 1/3 full with vegetable oil. Heat until the temperature of the oil reaches 375 degrees. When oil is 375 degrees work in batches and fry about a handful size of the noodles at time for 10 – 12 seconds until they puff up. Remove from oil and drain on paper towels. Continue until all noodles have been fried. Set aside. Brown turkey in a large pan over medium heat, breaking it up as it cooks. While the turkey browns, add: oyster sauce, hoisin sauce, soy sauce, rice wine, sesame oil, sugar, water and corn starch to a medium bowl. Whisk well to combine and until no cornstarch clumps remain. Set aside. Once turkey is browned, remove meat from pan. 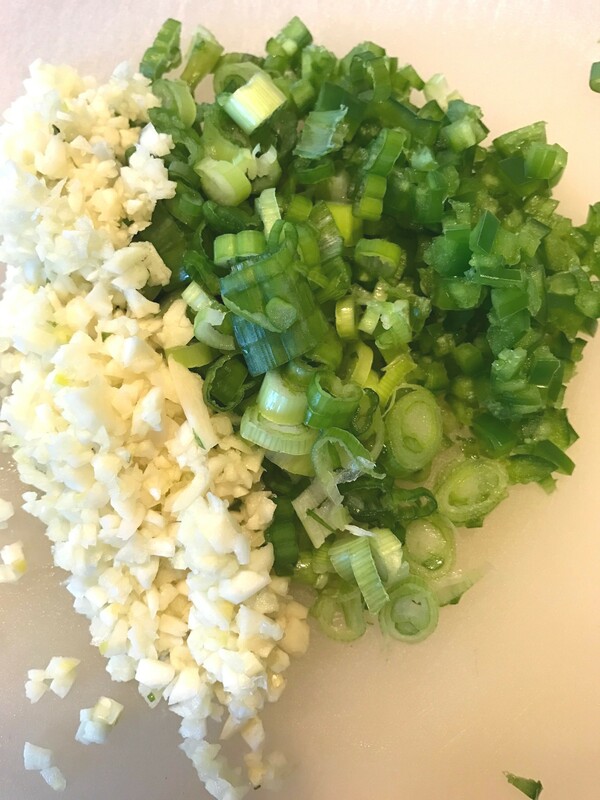 Place pan back over medium heat and add: garlic, ginger, jalapeno, scallions, carrots, mushrooms and water chestnuts. Cook for 2 – 3 minutes, stirring frequently. Return turkey to the pan and add reserved sauce. Mix well and continue to cook until slightly thickened, about 10 minutes. When ready to serve, add turkey mixture to a piece of iceberg and top with fried noodles.